Take a tour of the most popular types of houses in America, broken down by region in which they are the most popular. Some of these might surprise you. At last check, there were 125 million houses in the US. But even with a wide variety of styles of home architecture, each region tends to have a favorite. Here, we embark on the ultimate home tour. Few things in life offer an all encompassing range of emotions such as buying a home. Choosing the right home is important, and buyers tend to have many considerations like pricing, size, location, school districts and more. 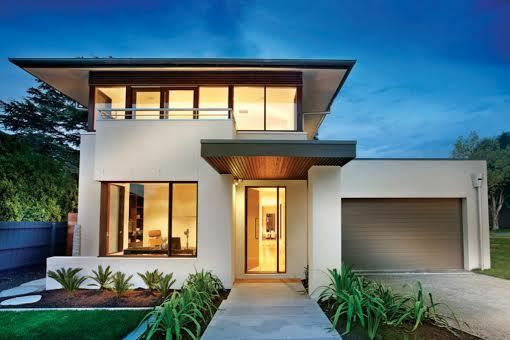 One of the most important decisions, however, has to be choosing exactly which style of home architecture you’re after. Are you a classic, ranch/rambler-style person or more a contemporary, modern-style seeker? Maybe you enjoy the brick and stucco of a French-style home, or the grand, columned entryway of a southern escape. No matter what you're leaning towards, it’s hard to be sure until you’re familiar with all of your options. To better understand what's out there, here are a few of the most popular types of houses in America. It might not come as a surprise, but many Northeastern states enjoy the Colonial or Cottage-Style look, most likely steering from the nation's heritage and first settlements. The region’s second most popular home style would have to be the Ranch/Rambler-style homes that sprung up with the population boom after the Industrial Revolution. Country style homes are most easily recognized by their influence from 18th century colonists. Often featuring wide porches, shutters, meticulously spaced windows, wood accents and siding, these charming homes have a feel all their own. Most notably featured in Norman Rockwell paintings, the nostalgic look of a country style home has kept their appeal alive and well. Ranch and Rambler style homes first rose to popularity in the 1950s and 60s. These large, sprawling single-story homes are often built in a rectangle, "L" or “U” shape with an attached garage. Today, the term relates most often to any single story home, but a true Ranch/Rambler appears long and flat from just about any direction you look. Evoking details from the 1920s, cottage-style homes are often smaller than other homes but similar in design to a modern-day Craftsman. Key design features here include an oversized front porch, painted woodwork, built-in dining and display areas, and a small second story in place of where the attic would typically rest. For many, this home styles' charming look and feel is simply too irresistible to pass up. Craftsman and Ranch/Rambler-style homes make up most of the Midwest. Michigan and Ohio, however, have a large portion of Colonial-style homes as well due to their close proximity to the Northeast. In some parts of this region, prefab homes have become increasingly popular and tend to be portrayed as the go-to style. Craftsman style homes are large, often newly built homes with a focus on stone and wood. According to Houseplans.com, they’re currently in the lead for the most popular style on the market. Introducing the era of cookie-cutter homes, these beautiful pieces of architecture seek to emphasize a relationship with nature and the craft of construction. It’s no wonder these particular home styles are put on a pedestal. As you might expect, the Farmhouse style extends well beyond the confines of the farm itself. Found throughout much of the country, these American home styles are often built on rectangular foundations with additional rooms added on either side of the property. With simple lines, narrow windows, large porches, wood siding and sometimes even a metal roof, these homes easily appeal to the simpler side in all of us. Modern homes surfaced in the housing market around the same time as the Ranch/Rambler. Using mostly straight, flat rooflines, horizontal windows and large undecorated fireplaces, they embrace the sharp, sleek, minimalist aesthetic of today’s tech-hungry homeowner. Some of these homes are known as prefab, which means that large portions of the house are made offsite and then shipped in and assembled much more quickly than a traditional build would take. Using only the highest quality materials such as marble, stone, wood floors and paneling, these homes are designed to feel clean, open, peaceful and relaxing. The South’s architectural preferences are as vast as the region itself. While states like Texas and Oklahoma prefer the Traditional and Modern-style home, many others choose the wide-open layout of a Ranch/Rambler. Georgia, on the other hand, has a completely different take on design, with nearly 20 percent of all its homes built in the European (specifically French) style of architecture. 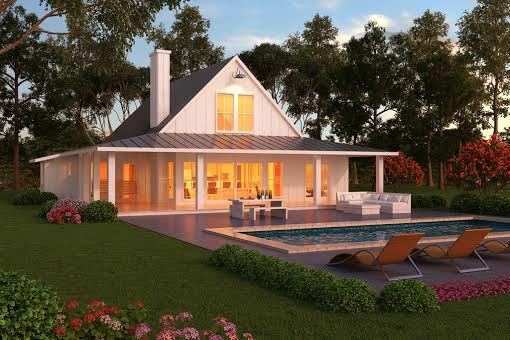 Perfectly adapted for the hot, humid climate, the Southern Style home often has large, operable shutters, wide roof overhangs, a wrap-around porch and a rocking chair, or two, placed out front (at least in the movies). Sometimes including columns as well, these homes tend to stay in a family for generations and visually resemble the design aesthetic that first appeared during American’s westward migration. Strangely enough, traditional style homes are more of a hodge-podge of other styles than anything. Made famous by suburban America, the most popular of these styles to pull inspiration from include Colonial, Craftsman and Ranch/Rambler-style homes. European style homes most often take hints from the beautiful architecture of France, Italy and England. Almost no expense is spared in their design. Built to last, they often feature plaster walls, marble floors and large centerpiece fireplaces. On the outside, the story is much the same. Striking the perfect balance of wood, stone and plaster, designers create an elegant aesthetic that’s captivated homeowners for centuries. Another uniquely European-style trait is the use of complicated rooflines that could feature everything from shingles to stone to copper. With consistent climates, vast open landscapes and a laid-back culture, homes in the West tend to all follow similar designs. Montana, Utah, Wyoming and Washington love the Ranch/Rambler layout, with small percentages of Colonial-style homes sprinkled throughout. California and Hawaii on the other hand are absolutely in love with the Modern look and feel – much of which took hold in the sprawl that followed the soldiers’ return after WWII. Taking hints from the Mediterranean shores of Spain, France, and Italy, these homes are most recognized by their plaster walls, rot-iron-enclosed patios, wood beams and tiled roofs. Mediterranean-style homes often extend outdoors with courtyards or verandas, and interior details are kept simple and clean. For a quick upgrade, many also include a wide, shallow swimming pool in the back to add to their luxurious appeal. Next > Remember These Vintage Home Relics?